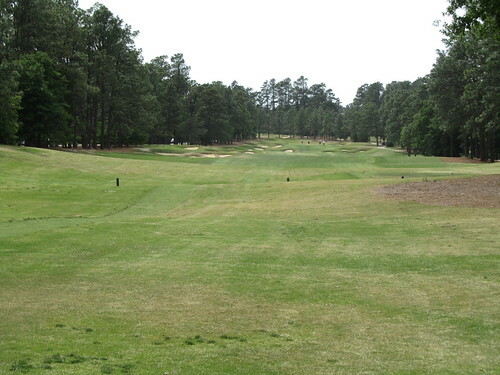 I played the Whites, which measure 6,214 which is a little shorter than usual (I try to shoot for the closest tee selection to 6,500), but being a Ross course, and knowing the additional length necessary for good approaches to crowned greens, the Whites were a good fit. I hit a really strong drive on #3 which didn’t fade and was able to clear the bunkers on the left. It was a great drive, but left me with a slight downhill lie with a crowned green, which is difficult to hit. Try and be in the fairway here, and it might be a good birdie opportunity. 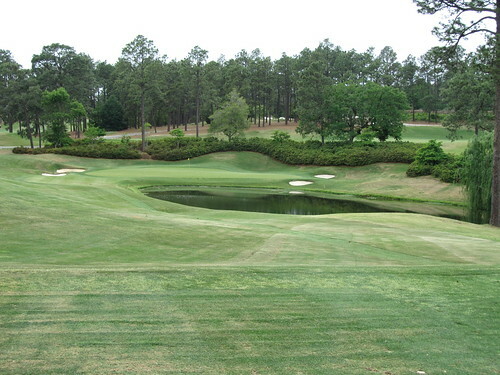 The 4th hole is a downhill par 3 over a bit of water, measuring 145 yards. Long makes for a tough chip, and short is water so club selection is everything. Be wary of the wind, but for me it was a perfect 8-iron, which ended up about 20 feet from the pin. I missed the birdie, but did par the hole. 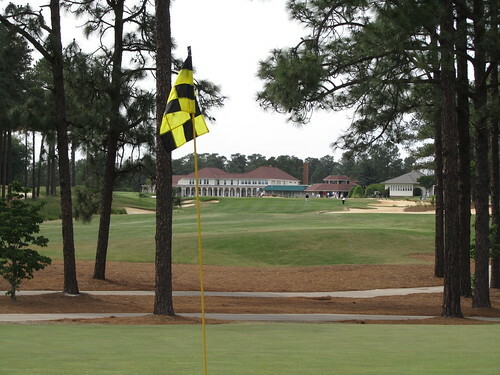 Five is the #1 handicap hole on the course and for good reason. At 427 yards from the Whites, it’s plenty of length too. 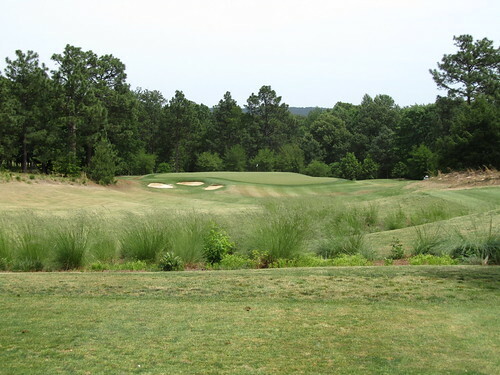 The tee shot is uphill, so plan on about 180-200 for your approach to a crowned green. 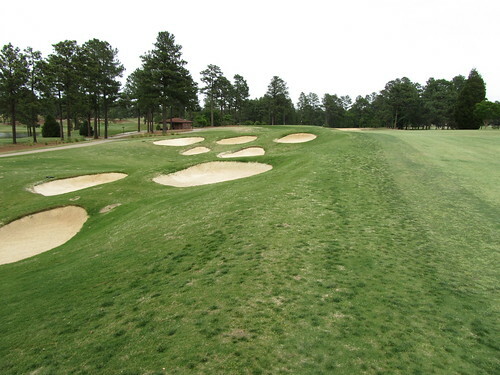 The fairway bunkers on the left ate a perfect drive of one of my playing partners, causing a chip out. 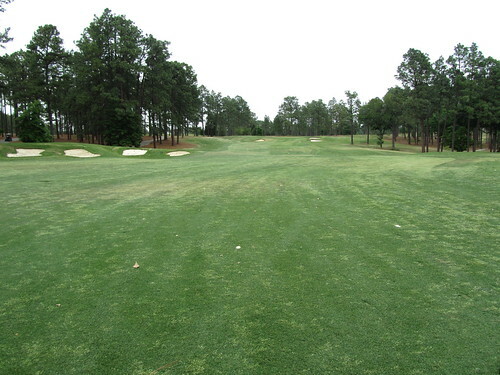 My opinion: Play it as a par 5 from the tee, and hit fairway wood, wedge, wedge. 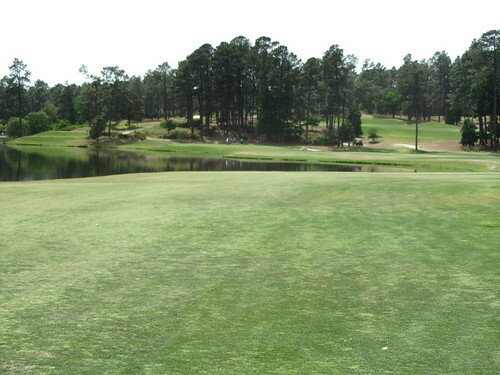 You’ll have one putt for par, and nothing worse than bogey. 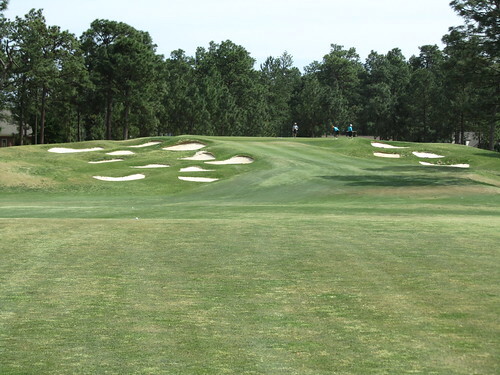 The seventh has fairway up the left, and sand up the entire right side of the hole. Any mishit to the right is in the sand. It was in pretty good shape when we played so no need to be afraid of it, but the mental weight of a 300+ yard bunker will have to be dealt with. The eighth is only 353 yards but a pretty tight hole as compared to the others, so I’d suggest fairway wood and an 8-9 iron for the approach. 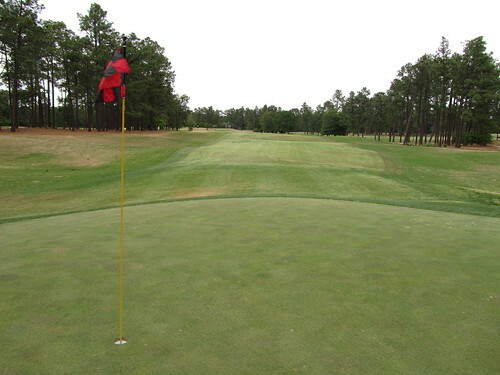 The green is pretty big, so choose your iron carefully, but this is a potential birdie hole for sure. 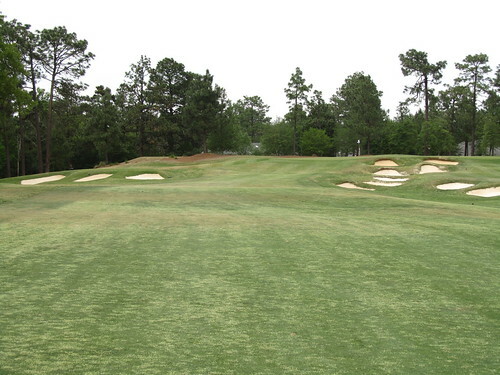 Ten and Eleven are relatively easy holes (if you keep it in the fairway, of course.) 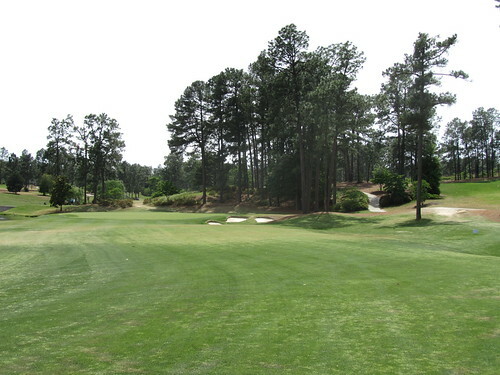 The twelfth is a downhill par 3 measuring 164 from the Whites. 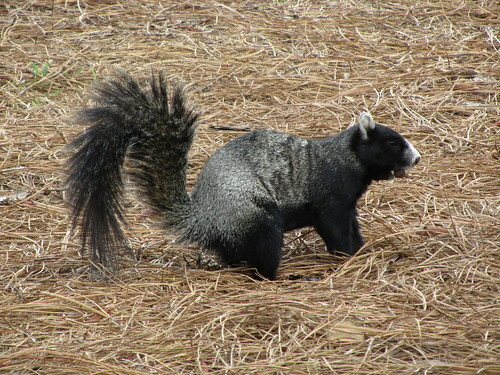 Again, pay attention to the wind. 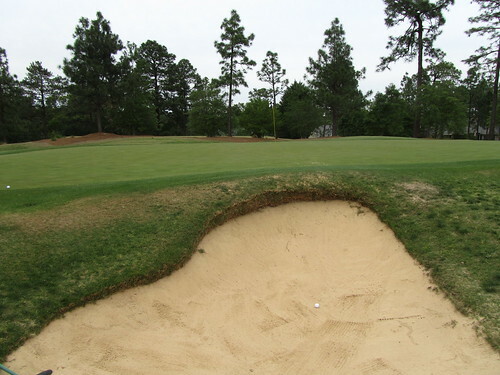 Being in the front bunkers here makes for a tough, tough par. The fifteenth is a classic Ross hole; not very long, but with a crowned green and some mind-altering bunkers. 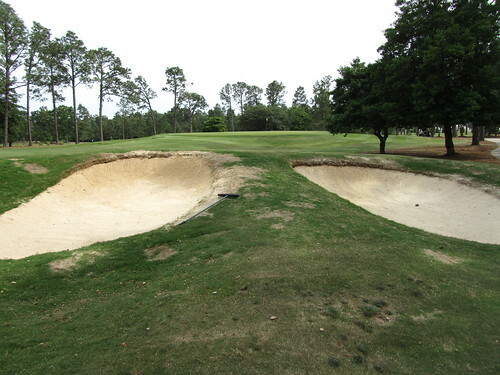 Standing over your approach, it’s difficult not to think about the bunkers, even though they really aren’t in play (with a good tee shot, of course.) Truly a beautiful hole. 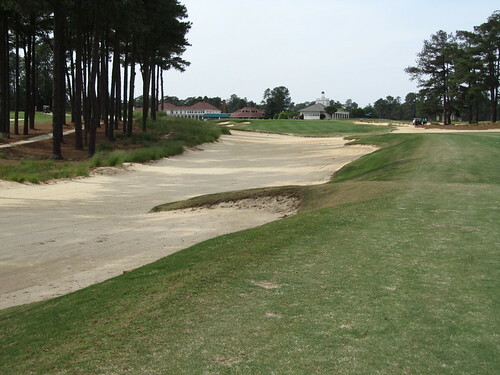 Pinehurst #4 finishes with a par 4 that has a bunker running up the entire left side. 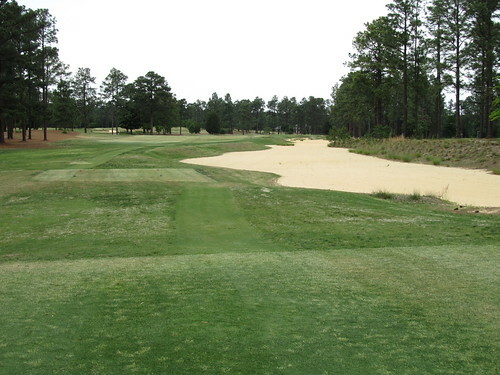 In addition, the fairway runs out of room shorter than you might expect. 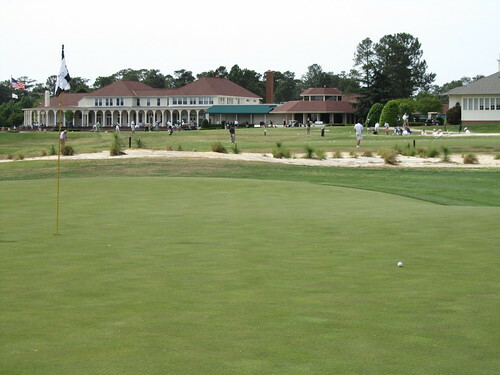 Once you’re on the green, you’re almost back at the clubhouse. 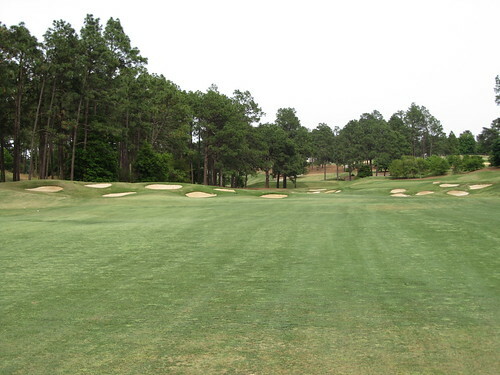 The #4 course at Pinehurst was clearly challenging, and was extremely reminiscent of a Donald Ross design. When in doubt, play it safe, but be sure to play it.